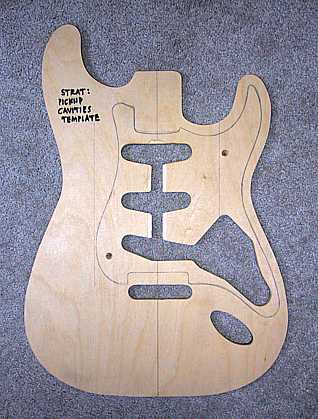 For my Strat, I used Stew-Mac's video, "Making A Solidbody Electric Guitar," which came with a full-size blueprint. 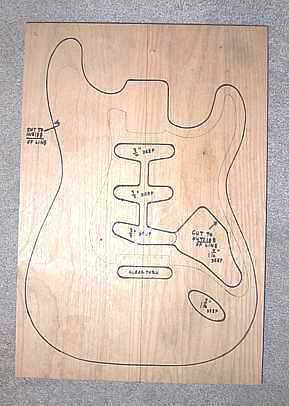 Both were invaluable, as I knew next to nothing about electric guitars, Strats, or electronics. Doing this electric was the first time I've ever really used my Porter-Cable router, to any great extent. The router always kind of scared me with its power (compared to my little Dremel). 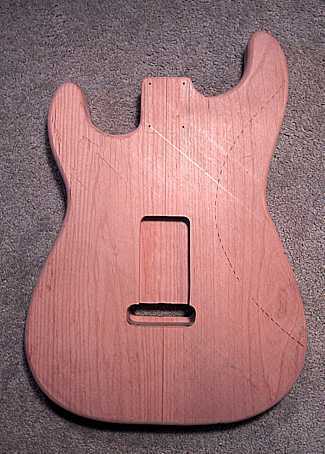 So, needless to say, I learned quite a lot having to rout out all these cavities in the 1-3/4" thick alder body. I became a little less scared of the router and came to really appreciate what you could do with the tool. I started out by transferring (with carbon paper under the traced blueprint) the body plan onto the alder, with the centerline as my guide. 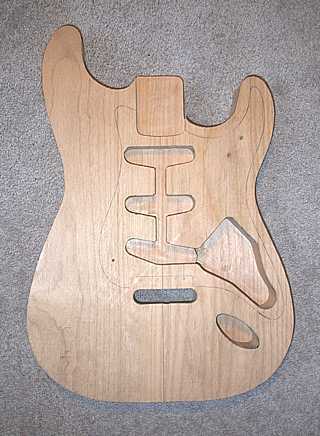 With my bandsaw, I cut out the basic body shape, almost up to the traced line. I then used a 2" flush trim router bit, set in the router in the router table, to trim the body to its finished size. To rout the cavities, I first took out most of the wood with a Forstner bit, drilling almost to the bottom depth of the cavity (but not quite, as I wanted to clean up the Forstner bit center holes with the router). 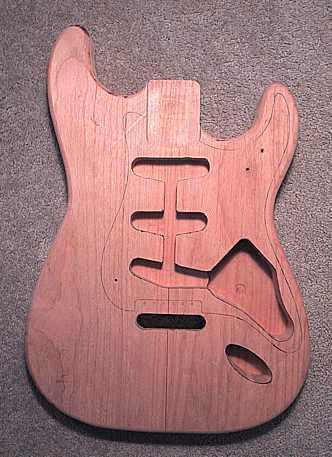 Then I used a body template I made out of 5/8" plywood to rout out the cavities to their ultimate sizes and depths. 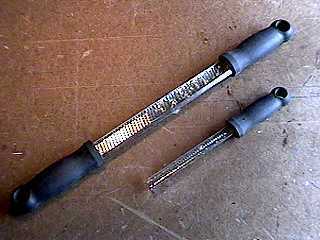 After that was done, I rounded over the edges with a 5/8"" roundover bit. 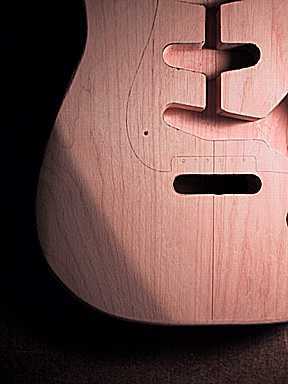 Finally, using my microplane and microrasp , I hollowed out the arm and back areas (where your arm rests and where the guitar sits against your body).